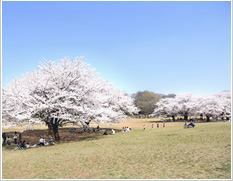 Hikarigaoka Park is a comprehensive park in the Tokyo Toritsu Koen in Hikarigaoke, Nerima Ward, Tokyo Metropolis, Asahi Town and Akatsukashimmachi, Itabashi Ward Hikarigaoke, Nerima Ward, Tokyo Metropolis.Hikarigaoka-danchi is the largest park in Nerima Ward, adjacent to Hikarigaoka-danchi.Before the war there was Narimasu Air Port which became a squadron of the special suicide Kandaku Musashi Kenji Gakuin and Kandaku Musashi Kenji Gakuin (Hanaoka Gakuin). Jorenji Templs is a temple relocated from Nakajuku, Itabashi Ward to the present Akatsuka, a formal temple donated the 10 red stones from Ieyasu Tokugawa. Also, in the Shogun Yoshimune 8th Shogun Yoshimune, we have related cultural assets, such as being designated as a resting place during falconry. And the Tokyo Daibutsu of Tokyo Daibutsu precincts was built in 1955 with a wish so that no disastrous earthquake disasters such as the Bombing of Tokyo and the Kanto Great Earthquake Disaster occurred. It is made of bronze with a height of 13 meters and weighs 32 tons, and it was chosen as one of the hundred New Tokyo scenes. Copyright (C) 2018 ホテルヒルトップ All Rights Reserved.